*The author is the co-author of the model Directive presented at the European Parliament in May 2016. With an overwhelming majority, the European Parliament on 16 April voted in favour of the new law to protect whistleblowers in the European Union. The Directive sets leading standards and has become a prime example of how a concerted effort by civil society – NGOs, trade unions, journalists, scholars, and whistleblowers – together with the European Parliament can lead to progressive legislation and enhance tools that safeguard the rule of law in Europe. Prior to this Directive, whistleblowers faced a paradoxical situation in Europe: they would be prosecuted at the national level, whilst celebrated for ‘promoting European values’ at the EU level, as in the case of LuxLeaks whistleblower Antoine Deltour. The European Parliament called upon the Commission to propose legislation since 2013, yet the Commission had rejected the calls noting lack of EU competences to legislate. The Council was also sceptical, as many member states do not have national laws in place. A key turning point was the presentation of the model Directive promoted by the Greens & European Free Alliance at the European Parliament in 2016. Protecting whistleblowers became inevitable after the EU witnessed the murder of two journalists, Daphne Galizia in Malta and Jàn Kuciak in Slovakia, who exposed corruption in their respective countries. The Directive provides significant improvement in protecting whistleblowers and moves Member States closer toward an advanced legal framework. Indeed, as noted by the world’s leading NGO for whistleblowing, the Whistleblowing International Network, the EU ‘has raised the bar for all EU governments to lead the world in promoting gold standard protections for whistleblowers’ or as Commissioner Jourová remarked these ‘rules will be a game changer’. 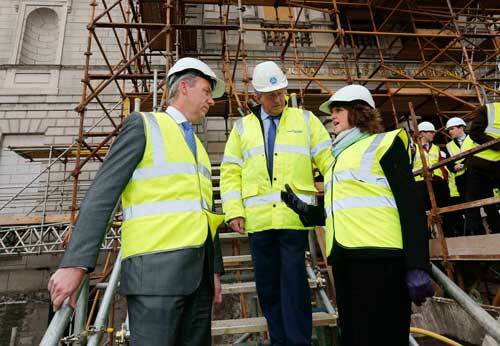 The Directive covers workers in the public and private sector. More specifically, it includes civil servants, the self-employed, shareholders, management, administrative or supervisory bodies, volunteers, paid or unpaid trainees, contractors, subcontractors and suppliers, individuals disclosing breaches during a recruitment process and former workers. The Directive does not encompass EU officials. For a worker to be able to invoke the protection granted by this Directive, the worker must have reasonable grounds to believe that the information reported was true at the time of reporting and that the information fell within the scope of the Directive. The Directive has a wide scope of protection not only in terms of who can be a whistleblower, but also in terms of policies that it covers. The Commission drew from many different Treaty provisions to ensure that reporting gaps are not created, although the disclosure should be related to a breach or abuse of EU law in any of the following issues: public procurement, financial services, prevention of money laundering and terrorist financing, product safety, transport safety, protection of the environment, radiation protection and nuclear safety, food and feed safety, animal health and welfare, public health, consumer protection, protection of privacy and personal data and security of network and information systems, protection of the financial interests of the Union, breaches of internal market rules, including competition and State aid rules or tax avoidance issues. Strictly national policies are not covered and neither are violations of worker’s rights and working conditions. The latter exclusion will be reviewed in future. One of the most contested points since the Commission proposed the Directive last year is whether protection will be made conditional on the whistleblowers first reporting internally. The Commission proposal set out a three tier reporting process, and it envisaged a mandatory disclosure first and foremost internally in the organisation. Not only was such a proposal counter to the case law of the European Court of Human Rights on the issue, but also it would have caused more harm than good, especially in Member States that have legislation in place and do not demand such strict channels. Indeed, the role of civil society cannot be stressed enough in this regard, as it played an invaluable role in making sure that the European Parliament amended the mandatory internal reporting. EP rapporteur Rozière understood these concerns and ensured that this piece of EU legislation meets the adequate standards rather than create uncertainty in legal protection. Making this her “biggest” priority, she succeeded in defending whistleblowers to choose the best means available for disclosure. The adopted Directive foresees that whistleblowers would be protected for reporting internally or for reporting directly to regulators and competent authorities. Reporting to the public still has strings of conditions, but if there were a risk of retaliation or low prospect of the reported breach to be addressed, whistleblowers would be protected if they reported to the public. The Directive applies both in the private and public sector, including to local authorities. Channels for reporting must be set up by companies with more than 50 employees. Local authorities that have less than 50 employees or municipalities with less than 10,000 inhabitants are exempt from the obligation to set up channels of reporting. 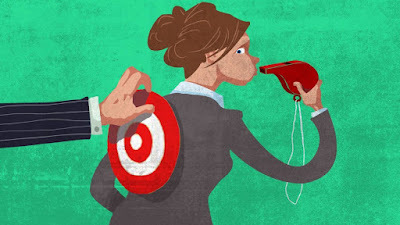 More guidance on how local and regional authorities should ensure protection for whistleblowers could nevertheless be found in a Resolution of the Council of Europe, which was also voted with sweeping majority earlier in April 2019 by the Congress of Local and Regional Authorities, laying out in detail recommendations and the most recent data on the matter. A good law in the books is of little use if its implementation in practice falls short. It will be of outmost importance that the Member States transpose this Directive in its full spirit and even push higher standards where possible. Member States will have two years to transpose the Directive to national law and civil society will continue to monitor closely and possibly facilitate national debates in how whistleblowers should be protected. After the scandals of LuxLeaks, PanamaPapers and Cambridge Analytica, citizens are becoming increasingly aware that whistleblowers play a crucial role in exposing wrongdoing and should not pay a personal price for defending public interest. National governments should take note of this public opinion and implement the EU Directive to its fullest. 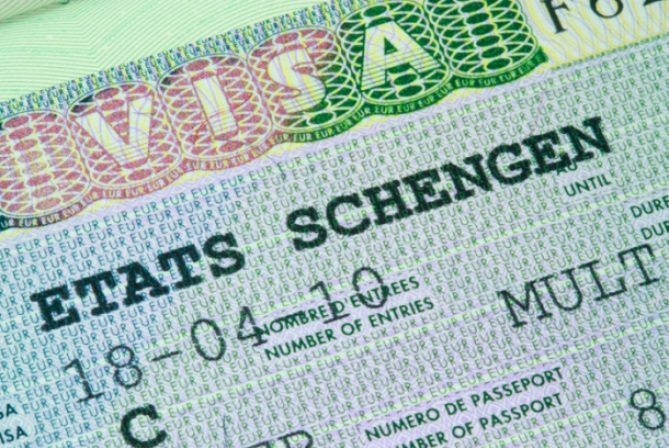 Today, the European Parliament is due to approve a revision of the law on the EU visa code, which sets out the basic rules on how to get a short-term visa to visit Schengen countries. (Update: the EP has voted in favour of the law.) Since this law was previously agreed with the EU Council, it is likely to be finally adopted by the Council in the near future. This law simplifies the visa application process a little, in return for increased application fees. But more significantly, it integrates EU visa policy even more closely with the EU’s external migration control policy, providing for incentives and sanctions for non-EU countries which respectively cooperate or fail to cooperate on readmission. (Parts of this blog post build on my previous post on the visa code proposal, before the recent agreement on the final text). The rules for issuing short-term visas are set out in the Visa Code, adopted in 2009. The CJEU has clarified some key points of the Code, ruling that: in effect it creates a right to a visa if the conditions are satisfied, although Member States have flexibility over how to apply those conditions (Koushkaki, discussed here); there must be a possibility of judicial review as part of the appeal process (El-Hassani); and “safe passage” visas for refugees in need of protection are not covered by the Code (X and X). The Code concerns “Schengen visas”, ie visas which allow travel across the entire Schengen area. As such it applies to the EU countries fully applying the Schengen rules (all Member States except the UK, Ireland, Croatia, Cyprus, Romania and Bulgaria) as well as the non-EU Schengen associates: Norway, Iceland, Switzerland and Liechtenstein. The list of non-EU countries whose citizens do (or do not) need a visa to visit the Schengen area is set out in a separate visa list Regulation, which was recently amended to waive visas for UK citizens after Brexit, as I discussed here. (Note that proposals for visa waivers for Turkey and Kosovo are on hold). In practice, visa requirements are waived for most of the Americas, most neighbouring European countries, higher-income countries in Asia/Pacific and a couple of Middle Eastern States (Israel and the United Arab Emirates). Conversely, visas are required for visitors from lower-income Asian and Pacific States, the rest of the Middle East, most of Africa and the Caribbean (except for some smaller islands), a few Latin American countries and the bulk of the former USSR (most notably Russia). There is also separate EU legislation to set up a “travel authorisation” system (see discussion here), which will apply to all non-EU countries with a visa waiver but without a free movement agreement with the EU. As things stand, this law will apply to the UK, unless some special exemption is requested and agreed. A travel authorisation is similar to a visa in that it requires a prior authorisation to travel, but will cost less and be valid for much longer. The visa code is also separate from (but closely linked to) the EU law setting up a Visa Information System, a database of information on applicants for Schengen visas. Although the Commission also suggested a revision of this law in 2018, and the EP and the Council adopted their positions on this text, the two institutions did not agree between themselves before the end of the EP’s five-year session. So they will negotiate on this in the next EP session. (The proposal would, among other things, provide for fingerprinting 6-year-old visa applicants, and extend that system to apply to long-stay visas and residence permits). The law approved by the EP today is the second attempt to revise the visa code. The first proposal dates to 2014, and focussed on economic issues, in particular aiming to facilitate tourism. A parallel proposal for a “touring visa” would have provided for an extended stay for those visiting multiple Member States for a longer period, as part of an orchestra or circus, for instance. (I discussed the details of both proposals here). The 2014 proposal also included provisions on facilitating the travel of EU citizens’ non-EU family members (discussed here), and, as noted already, it was an opportunity to argue for explicit “safe passage” visas to be added to the rules (as discussed here). However, it ultimately failed, because the EU Parliament and Council could not agree on whether it should include those “safe passage” visas. In light of the perceived “refugee crisis” of 2015-16 in the meantime, the 2018 proposal focussed instead time on security concerns, rather than economic growth. The Commission withdrew both 2014 proposals in light of the negotiation deadlock, and tabled a revised visa code proposal in March 2018. (It did not try to revive the “touring visa” proposal). This was met with much interest in the Council, which adopted a negotiation position on the proposal already by June 2018. I discussed the Council’s position further in a previous blog post. The European Parliament adopted its position in December 2018. The Commission’s 2018 communication on visa policy is a good overview of the purposes of the proposal. In addition to the main focus on security – which takes the form of penalties for non-EU countries that do not cooperate with the EU on readmission policy – it contains a limited number of simplifications for legitimate travellers. The Commission dropped the proposals to simplify travel for EU citizens’ family members, and made more suggestions to simplify the rules on multiple entry visas as compared to 2018. One key feature of the new law is the power to punish countries that do not cooperate with the EU on readmission (by raising visa fees, requiring more documents, slowing down processing times, and limiting the issue of multiple-entry visas), following a diplomatic process in which the EU will threaten these sanctions if no cooperation is forthcoming. (It’s already EU policy to link treaties simplifying the issue of visas to readmission treaties, but this policy will now become unilateral). At the behest of the EP, it will also be possible to offer carrots as well as sticks: lowering visa fees, speeding up processing times, and issuing multiple-entry visas with longer validity, where the country concerned is ‘cooperating sufficiently’ on readmission. On other issues, it will be possible for travellers to apply for a visa six months in advance, rather than three, although they should also apply (except in cases of urgency) at least 15 days before they plan to travel. Professional, sporting, cultural or educational bodies can now apply for visas on behalf of their staff. The requirement to appear in person (usually subject to a waiver in practice) will only apply when registering fingerprints, although they might also be submitted electronically. Visa application fees will rise from €60 to €80, and from €35 to €40 for 6-12 year olds, and the Commission will now have the power to revise the fee every three years. The mandatory fee waiver for researchers is extended to apply not only where they are carrying out research, but also when they are attending seminars or conferences. (Other mandatory fee waivers, for children under six, pupils and students, and NGO representatives at youth conferences or events, are retained.) The optional fee waivers for diplomats and youth attendees at conferences or events are retained, and the optional fee waiver for children is extended, to apply to children up to 18 years old (not just 12 as in the current code). The new “punishment” clause will raise the visa application fee to €120 or €160 for travellers from countries that are judged not to cooperate on migration. Service providers will be able to charge higher fees than they do now in some cases. The current rule on deciding on a visa application within 15 days will be kept (the Commission had proposed to reduce it to 10 days), although the length of the extended period in certain cases will be cut (45 days, instead of 60). Streamlining the current rules on multiple entry visas, such visas will be available lasting for one, two or five years will be available, based on prior lawful use of a visa. The final text dropped the Commission’s proposal to refer to judicial review in the event of an appeal against refusal of a visa, but this cannot change the legal obligation to provide for such a review, since the CJEU ruling on this issue (El-Hassani, noted above) based this obligation on EU primary law: the EU Charter of Fundamental Rights. The Commission proposal to issue visas at the border in order to encourage tourism was also dropped, as was the current law’s possibilities of having “co-location” and “common application centres”, as they have been overtaken by events – the trend of outsourcing the visa application process to private entities. As a partial substitute, the revisions will simplify the rules which apply when one Member State represents another one for visa applications. The European Parliament has ultimately gone along with the bulk of the Commission proposal and Council amendments, giving up on the simplification of travel rules which the Commission initially proposed in 2014, including for EU citizens’ family members, as well as the “safe passage” issue (on which the EP has passed a non-binding resolution). There are some modest facilitations of travel, in particular as regards multiple-entry visas and some additional fee waivers, in particular as an option for older children. The readmission punishment and incentive clauses form part of the EU arsenal of stricter migration control policies, such as arrangements with Turkey and Libya and with greater internal and external border checks, including the expanded powers for Frontex also approved by the EP today. Whether these changes will be effective remains to be seen; there will presumably still be juicier carrots offered via the EU-Africa funds offered to States which cooperate with the EU’s increasing attempts at “remote control” of migration. Whether the new policy will work in practice, or – even if it does work – satisfy those voters who remain angry despite reduced migration flows, equally remains to be seen. 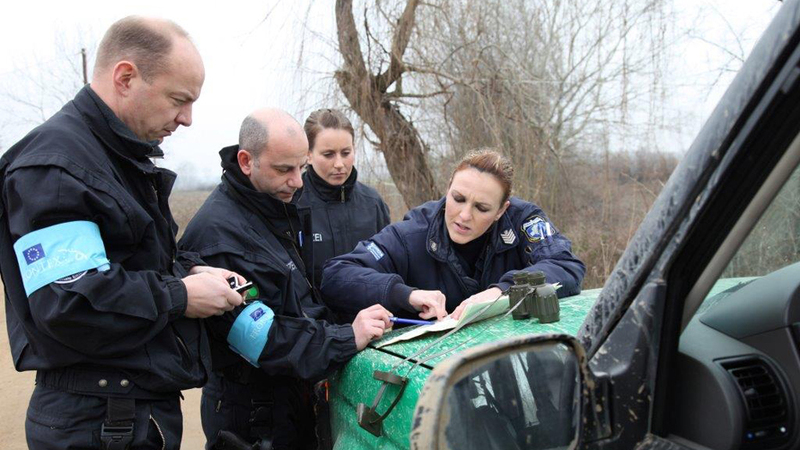 With the political agreement on the new Regulation reached at the beginning of April, approved by the European Parliament today, the European Border and Coast Guard Agency, Frontex, is now closer than ever to its original conception as a fully-fledged European Border Police Corps. The new law, with its enhanced rules on removal to non-EU countries, will be approved in parallel to changes to the EU's visa code aimed at readmitting more irregular migrants to non-EU countries, discussed here. The Commission’s proposal was presented in September 2018 and was agreed hastily within only six months, as the goal was for an agreement to be reached within the current Parliament before the European Parliament elections in May 2019. The new agency is expected to become operational this summer. Moving towards full operational capacity the agency will have its own equipment and personnel, combined with an impressive budget, and is vested with an even broader mandate in border surveillance, returns, and cooperation with third countries. The ambitions of the Commission have been accepted almost in their entirety. Notably, however, the proposal regarding controlled centres, where relevant EU agencies and participating states would cooperate in enforcing rapid procedures for either asylum or return, and the power of the agency to coordinate return operations from one third country to another did not survive the trilateral negotiations. The new Regulation wants to address two main challenges. Firstly, it aims towards greater autonomy and operational effectiveness. The heavy reliance of the agency in the voluntary contributions of member states in staff and equipment resulted in persistent gaps that impacted the effectiveness of the agency and its flexibility to deploy border guard teams in a short time-frame. Secondly, the 2019 EBCG Regulation comes in response to the call of the European Parliament for full implementation of the IBM Strategy, regarding European Integrated Border Management, which is considered vital for the functioning of the Schengen area. Improving the effectiveness and capabilities of the agency to achieve higher impact levels, while reducing the hold of member states over its operations, and increased cooperation with third states to promote European border management and return standards, while attaining to fundamental rights norms are key components of the IBM Strategy. This blog focuses on three of the most significant changes brought by the new Regulation from a fundamental rights angle and looks into whether the expanded mandate and powers are accompanied by an equally strong accountability regime. For a more detailed look into the overall changes, you may refer to an earlier blog on this next phase of the EBCG. Currently, Frontex joint operations rely solely on the contributions of member states. Now, the agency acquires its own operational arm: a EBCG standing corps with broad executive powers. Starting with 5.000 operational staff in 2021, the standing corps will be fully operational by 2027 counting 10.000 staff members under the exclusive and direct control of Frontex. Moreover, the agency can still make use of temporary deployments and long-term secondments from member states, while a rapid reaction pool of 3.000 members will be at its immediate disposal for rapid border interventions. The standing corps will have executive powers similar to the border guards and return specialists of the member states, including competence to perform identity checks and authorise or refuse entry. One of the most highlighted changes concerns the enhancement of the agency’s mandate on returns of irregularly staying third country nationals to their countries of origin, which the new Regulation makes a top priority. Frontex is vested with a broad mandate in pre-return and return-related activities, including providing its own return escorts and return monitors and preparing the return decisions. Such expansive powers increase the possibility for Frontex to be held responsible for fundamental rights violations during its returns, especially since such return flights will be conducted in the agency’s own aircrafts, by the agency’s own escorts. The inherent sensitivity of forced returns to physical abuse and violations of the right to non-refoulement calls for increased accountability, in the meaning of more possibilities for the agency to answer for the impact of its activities upon fundamental rights. Forced returns monitoring is a crucial safeguard during return operations. As a step towards that direction, the new Regulation allows the Council of Europe’s Committee on the Prevention of Torture (CPT) to conduct visits to monitor the situation on board. However, the EBCG Regulation does not abide by the safeguards set down in the Return Directive (Art. 8(6)), which calls for an effective monitoring system. This refers in particular to the independence of the monitoring mechanism, requiring that the authority that carries out the returns is not the same as the one in charge of monitoring the compliance with fundamental rights. The EU Fundamental Rights Agency (FRA) has suggested that the same standards should apply to the agency and has suggested in its report to the European Parliament the involvement of an international body with human rights monitoring expertise. Nevertheless, no such provision for an independent monitoring body with relevant expertise and sufficient resources is made in the Regulation. Finally, the role of the agency in drafting the return decision which would be subsequently issued by the member states raises its own fundamental rights concerns. Even though the ultimate authority for the return decision rests with the member state, such powers may lead to the informal beyond mandate influence of the agency. This would not be unprecedented. Such concerns have been expressed by NGOs as well as the EU Ombudsman with respect to the extent of the involvement of the European Asylum Support Office (EASO) in assessing asylum applications in Greek hotspots, as in practice the national authorities rely disproportionately on the agency’s decision. Besides the obvious questions of breach of mandate, state sovereignty, and jurisdictional independence that this raises, mistakes in the issuing of such preliminary decisions may lead to a violation of the rights to family life and non-refoulement or the rights of the child. The FRA has brought this new power into question, wondering how Frontex deployed staff, which typically originate from different member states and will not be familiar with the national legal framework or the host country language, would be able to ensure compliance with the fundamental rights safeguards emanating from the Return Directive as these have been transposed into national law. Art. 49(1) of the EBCG Regulation provides that the agency’s return activities will be carried out in respect of fundamental rights. However, the concrete safeguards issued in the Regulation are not adequate to guarantee such protection. The information sharing aspect of the agency’s work is also significantly strengthened along with the creation of new specialised structures and mechanisms, while EUROSUR is encompassed in the EBCG Regulation aiming at improving its functioning, and enlarging its scope to cover most IBM components. In the context of its new powers, Frontex can exchange information with EU agencies, including Europol as well as third countries. This, combined with the interoperability-related competencies of Frontex, creates a quite broad mandate for the processing and especially the sharing of data both within the EU and outside, involving EU institutions, agencies, and law enforcement authorities. Moreover, as part of the agency’s expansive mandate on returns, Frontex is tasked with developing and operating a centralised return management platform for processing all information. This centralised platform allows for an automated transfer of data. The information processed in the centralised platform and also shared with third states may include personal data, biographic data or passenger lists, as well as information obtained during the personal asylum interview. This can prove detrimental for the safety of people seeking protection, while it would undermine the trust that is necessary for the asylum interview to allow applicants to present the grounds for their applications. To the contrary, safeguards seem to even be reduced in the EBCG Regulation, as it fails to correctly transfer the guarantee that is enshrined in the EUROSUR Regulation (Art. 20(5)), that any exchange of data that can be used to identify persons with a pending request for international protection or who are at serious risk of being subjected to torture or other fundamental rights violations are prohibited. In the EBCG Regulation this safeguard is only limited to personal data (Art. 90(4)). Other types of data, that is not covered by this safeguard may still reveal to the state of persecution information regarding a person’s political, religious or philosophical beliefs, or their attempt to flee to the EU and request asylum. This may expose the person or their family to retaliation measures, or allow the country of origin to stop them from reaching safety. All in all, the new powers of Frontex regarding data processing and sharing can have a major impact on the rights of persons, beyond the right to the protection of personal data. The most significant changes that reflect the increased accountability of the agency in the light of its new powers concern the European Parliament, the Fundamental Rights Officer and the individual complaints mechanism. The new EBCG Regulation takes steps towards increased political accountability, involving the European Parliament and national parliaments. To ensure effective scrutiny by the democratic institutions, the Regulation introduces greater inter-parliamentary cooperation. The agency’s management board is required to attend joint meetings of the European and national parliaments, while it could – not should – invite an expert of the European Parliament to attend its meetings. Finally, the European Parliament has now a new role with respect to cooperation agreements conducted with third countries. It will be informed before a working arrangement with a third country is concluded about the parties and the content of the agreement, but the agreement itself will not be shared. Similarly, when negotiating a status agreement with a third country, the Commission will make a fundamental rights assessment relevant not to the whole country, but only to the areas covered by the agreement, of which assessment the European Parliament will be informed. Moreover, the role of the agency’s Fundamental Rights Officer (FRO) is enhanced as she acquires a preventive function, being tasked with providing opinions upon all operational plans, as well as pilot projects and technical assistance projects in third countries. Furthermore, Frontex liaison officers are tasked to cooperate with her. What is more important is that FRO is tasked with publishing an annual report regarding the protection of fundamental rights in the agency’s activities, which shall also include information about the complaints mechanism and the implementation of the Fundamental Rights Strategy. In the light of her already increased mandate, the workload of the FRO has significantly increased without a proportionate increase in the necessary staff and resources, so that it has become increasingly difficult for her to fulfil her tasks. The agency recruited in November 2018 additional staff to support the FRO, but this only includes junior staff. Art. 107 (2a) of the Regulation promises that the FRO will be provided with necessary resources and personnel, however, without making concrete commitments, like in the case of the number of border guards. Finally, the crown jewel of administrative accountability, the individual complaints mechanism introduced in 2016, becomes all the more relevant with the expansion of the agency’s activities in third countries where victims of violations do not have access to EU judicial remedies due to lack of jurisdiction. Notably, the reach of the complaints mechanism is now expanded to cover operational activities in third countries. Moreover, the FRO will draft a standardised complaints form in an effort to enhance the accessibility of the procedure. She will also recommend to the Executive Director the appropriate follow-up when the complaint concerns a staff member of the agency, which has been specified in the Regulation to include ‘referral to civil or criminal justice procedures’. This, however, still remains in the discretion of the Executive Director, as the Regulation does not introduce requirements as to the appropriate follow-up. More importantly no remedy is made available against the admissibility decision of the FRO or the decision of the Executive Director. Moreover, the mechanism remains highly inaccessible to ‘new arrivals’, including unaccompanied minors, while the FRO was not allowed to initiate a complaint ex officio. Although these changes are certainly a step to the right direction in terms of increased accountability, they nevertheless do not correspond to the expansion of powers and competencies of the agency in any of the areas of its activity discussed here. In particular, the role of the European and national parliaments remains fairly limited to be able to ensure effective political accountability, while, unless the FRO is provided with sufficient staff and resources, she will not be able to fulfil her preventive role. Finally, there is still ample room to be covered for the complaints mechanism to meet the international standards of accessibility, institutional independence, and adequate capacity for evidence-based investigation. Despite the Court of Justice’s prominent role in the enforcement of EU law via the infringement procedure of Article 258 TFEU and the preliminary ruling procedure of Article 267 TFEU, the Court of Justice has predominantly been left out the enforcement of EU values, and the rule of law in particular. The EU Treaties remain silent with respect to an explicit competence for the Court of Justice to reinforce the rule of law in case deviant behaviour of Member States emerges. In addition, rule of law deficiencies have been prominently dealt with within the political discourse of dialogue in the context of the Rule of Law Framework and the Article 7 TEU procedure. However, the Court of Justice’s Associação Sindical dos Juízes Portugueses judgment of 2018 has been a turning point in this regard. This blogpost will comment on the hearing in the Commission v. Poland case of 8 April 2019 (C-192/18) (hereafter ‘Ordinary Courts case’) and the opinion in the Commission v. Poland case rendered on 11 April 2019 (Case C-619/18) (hereafter ‘Supreme Court case’), two infringement procedures launched by the Commission before the Court of Justice after the Associação Sindical dos Juízes Portugueses judgment. Although the outcome of the Associação Sindical dos Juízes Portugueses judgment as such cannot be considered to be ground-breaking, the reasoning of the Court of Justice, in contrast, is all the more so. The Court of Justice, after all, established in this judgment that national courts which may be called upon to apply EU law, have to guarantee an effective judicial protection in accordance with the second subparagraph of Art. 19(1) TEU (para. 40 of the judgment). This ‘may’ formulation suggests that this applies to any court within the meaning of EU law. As Pech and Platon stipulate, “most if not all national courts are, at least theoretically, in this situation”, and therefore have to fulfil the requirement of effective judicial protection (see L. Pech and S. Platon, “Rule of Law Backsliding in the EU: the Court of Justice to the rescue? Some thoughts on the ECJ ruling in Associação Sindical dos Juízes Portugueses”, on this blog). As a consequence of the Associação Sindical dos Juízes Portugueses judgment, judicial independence has become a criterion verifiable by the Court of Justice, and as such confirmed as essential in the enforcement of the rule of law (para. 40 of that judgment; see also last year’s judgment in LM (discussed here), para. 48). The Court of Justice has thereby shown itself committed to upholding the rule of law within the EU by operationalising the rule of law as enshrined in Article 2 TEU, reinforcing this value with a reference to the principle of sincere cooperation as enshrined in Article 4(3) TEU. This is necessary in order to achieve the proper functioning of the judicial cooperation system pursuant the preliminary reference procedure under Article 267 TFEU (Associação Sindical dos Juízes Portugueses, paras. 41-43). Judicial independence not only presupposes that judges are remunerated sufficiently, but in light of the rule of law crisis, more importantly, also the protection against the removal from the office of the members of the national courts (Associação Sindical dos Juízes Portugueses, para. 45). Poland has made several reforms regarding the functioning and organisation of the Constitutional Tribunal, the Supreme Court and the ordinary judiciary whereby the independence of these bodies has been endangered (for an extensive overview of all the measures Poland has adopted over the last two years, see the Commission’s Reasoned Proposal in accordance with Art. 7(1) of the Treaty on European Union regarding the rule of law in Poland. In particular, the Polish government has adopted a law on the basis of which the general retirement age of the Supreme Court judges and the judges of the ordinary courts is lowered from 70 to 65, entailing that all judges currently in office who attained the age of 65 years, or will attain that age within 3 months from the entry into force of the law, will be retired. Following the reasoning of the Court of Justice in Associação Sindical dos Juízes Portugueses, this measure would – to use the Court of Justice’s formulation – “impair the independence” of relevant courts and their members and as such be held incompatible with Art. 19(1) TEU, because these members of the judiciary are removed from their offices before the end of their initial term. The revolutionary Associação Sindical dos Juízes Portugueses judgment is the initial impulse of a series of cases before the Court of Justice within the context of the compatibility of national measures concerning the national judicial system with the standards following Article 19 TEU. Both the Commission, in the form of infringement procedures pursuant to Article 258 TFEU, and the national judges, in accordance with the preliminary ruling procedures as foreseen in Art. 267 TFEU, have raised issues about developments in Poland (see for instance the infringement procedures respectively lodged by the Commission against Poland on 15 March 2018 (Case C-192/18, the Ordinary Courts case) and on 2 October 2018 (Case C-619/18, the Supreme Court case), and the preliminary questions respectively referred by Polish judges on 9 August 2018 (Case C-522/18), on 3 September 2018 (Case C-558/18) and on 5 September 2018 (Case C-563/18). On the 8th of April 2019, the hearing of the Ordinary Courts case took place before the Grand Chamber of the Court of Justice. This case concerns, in particular, the Commission’s claims that the Polish measures lowering the retirement age applicable to the ordinary court judges, on the one hand, and granting the Minister for Justice the discretionary power to decide whether or not to extend the active service of the judge concerned, on the other hand, are contrary to Article 19 TEU, read in conjunction with Article 47 EU Charter (the right to a fair trial before an independent court). Although the Commission also raised the issue regarding the distinction between the retirement age for men and women working as a judge in its infringement action, the Court of Justice asked the parties to focus solely on the first plea during the hearing. The Commission started with emphasising the importance of the adherence to the principle of effective judicial protection enshrined in Artilce 19 TEU, which is further clarified by Article 47 EU Charter as the right to be heard by independent and impartial judges, because the principle of effective judicial protection is not only the very essence of the rule of law, but also the very basis of the EU. Indeed, the Court decided already in the Achmea case (discussed here) that the EU judicial system, consisting of the Court of Justice and the national courts as EU courts, aims at ensuring the uniformity, effectiveness and autonomy of EU law (Achmea, para. 37). Non-adherence to the principle of effective judicial protection would affect these key characteristics of EU law and the EU as such. Therefore, the contested measures violate the principle of judicial independence, and, thus, also the principle of effective judicial protection as foreseen by Article 19 TEU. In particular, as the Commission clarified by answering a related question posed by the Judge Rapporteur, the discretion of the Minister of Justice is problematic in the light of Article 19 TEU since he or she can decide to grant or refuse an extension of the active service of a judge beyond the retirement age without clear criteria, without motivation, without a possible appeal and without a clear time framework of the prolongation period. Referring back to the case law of the European Court of Human Rights with regard to Article 6(1) ECHR, the Commission invokes that this can be qualified as a means to put pressure on the judiciary, which constitutes an infringement of Art. 19 TEU. Furthermore, the Commission reminded the Court of Justice of its own interim measures order of 17 December 2018 in the Supreme Court case (see also the interim measures order of November) in which it refuted that the Commission based itself on mere hypotheses and it held that the contested provisions could lead to a violation of Article 19(1) TEU (paras. 55-56 of that order). 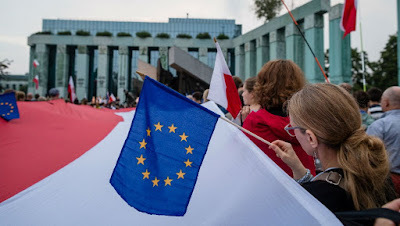 Nevertheless, the Polish representative argued that the contested provisions of the Polish law have been amended in compliance with EU law, as a consequence of which the Commission should withdraw its application of Article 258 TFEU. Moreover, the Polish representative emphasised that the Minister of Justice has no wide scope of discretion, as the Minister considers the workload of the other ordinary courts and the need for human resources in other courts when granting or refusing an extension of the activity of an ordinary court judge. At the same time, the Polish representative acknowledged, in response to a question raised by the Judge Rapporteur, that the Minister of Justice does not have to motivate his decision and that there is no judicial review against this decision. During the hearing, the President of the Court noted that the lack of motivation makes the situation all the more suspicious. The Judge Rapporteur also appeared puzzled on how the retirement of a certain judge will remedy the workload in other courts. Instead she suggested the transfer from personnel as a possible solution. The Polish representative explicitly rejected this “opinion” of the Judge Rapporteur by stating that the Polish law does not foresee in such a possibility. More fundamentally, the Polish representative submitted that the Commission’s infringement action is an unjustified interference in the national judicial system of a Member State, which is a purely internal affair. The lowering of the retirement age cannot be considered to be a removal of judges from their office since it would simply be an exception to the constitutional rule regarding the general retirement age, justified by the need of effective allocation of judges among the various ordinary courts in Poland. Following this argument the President requested the Commission to divulge on whether the competences conferred on the EU by virtue of Article 19(1) TEU can be limited considering the autonomy of the Member States to organise its judicial system. The Commission conceded that it had to respect the attribution of competences and the autonomy of the Member States regarding the functioning and organisation of its judiciary but equally noted that Member States have to guarantee some minimum standards that have to be adhered to, as the Court of Justice has specified in its previous case law, such as the Associação Sindical dos Juízes Portugueses and LM judgments. The Polish representative, nevertheless, objected the use of double standards regarding the principle of judicial independence by the Court of Justice, since the renewal of a judge’s mandate at the Court of Justice for 6 years entails, similar to the extension of a Polish ordinary court judge, a decision of the governments. Of course, the decision of Member States’ governments with regard to the (re)appointment of the Court of Justice judges can hardly be compared to the discretionary power of the Minister of Justice to grant or refuse an extension of the active service of an ordinary court judge. Admittedly, the appointment procedure for judges at the Court of Justice is not completely transparent (see for instance M. A. Simonelli, “Quod Licet Iovi non Licet Bovi. The Appointment Process to the Court of Justice and the Reform of Judiciary in Poland”, on the European Law Blog). Yet, in accordance with Article 253 TFEU and Article 255 TFEU, criteria, such as the independence beyond doubt and the right qualifications, have to be considered and a(n) (re)appointment is decided by common accord of the governments of the Member States. In addition, a decision will be taken after the consultation of an expert panel consisting of former members of the Court of Justice and the General Court, members of national supreme courts and lawyers of recognised competence. It is now up to the Advocate General to deliver his opinion in the Ordinary Courts case, expected on the 20th of June 2019, before the Court of Justice will render a decision. However, his opinion in the Supreme Court case was released on the 11th of April 2019 and already sheds light on the outcome of his opinion in the Ordinary Courts case. The Supreme Court case deals with the Polish measures lowering the retirement age of the Supreme court judges from 70 to 65 years of age and granting the President of Poland the power to extend the active service of Supreme court judges. As a result it is very much comparable to the Ordinary Courts case. As compellingly highlighted by Advocate General, the Supreme Court case will be the first infringement action in which the Court of Justice has to rule on the compatibility of measures adopted by Member States regarding the organisation of the national judicial system with the standards foreseen in Art. 19(1) TEU (Opinion, para. 47). According to the Advocate General, the Court’s decisions in these currently pending cases will strengthen the respect for the rule of law by Member States and will further offer guidance on the standards upon which the rule of law is based. The fact that an Article 7(1) TEU procedure has been invoked against Poland does not change the admissibility of the case. Notably, the Advocate General applied a clear delimitation between both procedures, Article 258 TFEU being a legal procedure and Article 7 TEU a political procedure, as they have a different scheme and purpose (Opinion, para. 50). The Advocate General examines the scope of application of Article 19(1) TEU and Article 47 EU Charter separately, as Advocate General Saugmandsgaard Øe also proposed in his opinion in the Associação Sindical dos Juízes Portugueses case. Yet, the Court of Justice reformulated the question in the Associação Sindical dos Juízes Portugueses case by leaving out a reference to Article 47 EU Charter. The Court of Justice merely referred to Article 47 EU Charter in order to explain that the principle of effective judicial protection requires that everyone has a right to an effective remedy before a tribunal which is independent and impartial. By relying merely on Article 19(1) TEU, the Court of Justice refrained from opening a Pandora’s box on the discussion of the scope of application of the Charter. Although some commentators have argued to revisit the scope of application of the Charter, as set out in its Article 51, an extensive reading of this provision could be regarded as an unjustified intervention in the Member States’ national affairs endangering the sovereignty of national constitutional courts to observe the rule of law and fundamental rights enshrined in the national constitutions (T. von Danwitz, “The Rule of Law in Recent ECJ Jurisprudence” in W. Schroeder (ed. ), Strengthening the Rule of Law in Europe, from a common concept to mechanisms of implementation, Hart Publishing, Portland, 2016, (155)165). Indeed, this ‘national sovereignty’ argument has several times been repeated by the Polish representative during the hearing of the Ordinary Courts case. During the hearing however, the Commission highlighted that Article 47 EU Charter is merely called upon to help interpret the principle of effective judicial protection of Article 19(1) TEU. Moreover, the infringement action focuses on a breach of Article 19(1) TEU as a consequence of the Polish measures lowering the retirement age of the ordinary courts judges and the discretionary power of the Minister of Justice to decide on a possible extension of judicial mandates. The emphasis then is on the material scope of application of Article 19(1) TEU. In this regard, Advocate General Tanchev argues that Member States have the obligation to guarantee the full application of EU law and the judicial protection of individuals under Art. 19(1) TEU, which entails that measures impairing the independence of national courts hinder the EU Courts from carrying out their mandate under Article 19(1) TEU (Opinion in Commission v. Poland (Supreme Court case), para. 59). The Court of Justice thus has the competence to verify whether measures adopted by a Member State are in line with their obligations resulting from Art. 19(1) TEU. As the Polish Supreme Court – mutatis mutandis the Polish ordinary courts – may rule on questions concerning the application or interpretation of EU law, and the infringement action concerns an alleged breach of the rule of law, concretised by Article 19 TEU, the infringement action brought by the Commission before the Court of Justice in the Supreme Court case – mutatis mutandis the Ordinary Courts case – should be deemed admissible according to Advocate General Tanchev (Opinion in Commission v. Poland (Supreme Court case), para. 63). Following this finding of admissibility, Advocate General Tanchev opines that Poland infringes Article 19(1) TEU on two accounts. Firstly by violating the principle of irremovability of judges and by violating the principle of judicial independence by granting the President of Poland the discretionary power to extend the active service upon the retirement age of a judge on the other hand. Remarkably the Commission did not raise any arguments with regard to the irremovability during the hearing of the Ordinary Courts case, as it focussed on the discretionary power of the Minister. While it considered the lowering of the retirement age of the ordinary courts judges a relevant aspect of the overall discussion, it did not consider it as a breach of Article 19(1) TEU as such. In contrast the Advocate General stressed the principle of irremovability as one of the guarantees essential to judicial independence. It is, furthermore, noteworthy how the Advocate General in the Supreme Court case is guiding the Court of Justice in defining the principle of irremovability by referring to soft law created by other international bodies, such as the Council of Europe, the International Bar Association, and the United Nations. In addition, the Advocate General highlights the value of such non-binding norms, as they imply normative consensus of rules and principles shared by the Member States or other jurisdictions which provide a useful reference for the Court of Justice (Opinion in Commission v. Poland (Supreme Court case), footnotes 51-52). Namely, this principle of irremovability entails that a judge should have “a guaranteed tenure until a mandatory retirement age or the expiry of their term of office, and can be subject to suspension or removal from office in individual cases only for the reasons of incapacity or behaviour rendering them unfit for office. Early retirement should be possible only at the request of the judge concerned or on medical grounds, and any changes to the obligatory retirement age must not have retroactive effect” (Opinion in Commission v. Poland (Supreme Court case), para. 72). Moreover, in Associação Sindical dos Juízes Portugueses the Court of Justice assessed the circumstances of the case, such as the impact on the composition of the court, the nature of the legislation adopted in respect of the members of the court concerned, and the duration of the application of the legislation, to verify whether the lowering of the remuneration level was violating the principle of judicial independence. Advocate General Tanchev uses these factors to verify whether the lowering of the retirement age is breaching the principle of irremovability of judges (Associação Sindical dos Juízes Portugueses, paras. 46-50; Opinion in Commission v. Poland (Supreme Court case), para. 76). Furthermore, the Advocate General adds that a sudden and unforeseen removal of a large number of judges creates difficulties in terms of public confidence. This argument could also be used to refute the closing remark of the Polish representatives during the hearing of the Ordinary Courts case, namely that the infringement procedure brought by the Commission is counterproductive and confuses the Polish judicial system. By lowering the retirement age and obliging a large number of judges to retire before the end of the initial termination of their active service, the Polish government precisely creates public confusion and uncertainty. In respect to the discretionary power of the Polish President to extend the term of the office upon the retirement age of the Supreme court judge, Advocate General Tanchev holds that also this Polish measure is contrary to the principle of judicial independence enshrined in Article 19(1) TEU. In particular, the external aspect of judicial independence is violated, since the measure exposes the Supreme court judges to external intervention and pressure from the Polish President considering the link between the lowering of the retirement age and the requirement to request an extension of the retirement age to the President (Opinion in Commission v. Poland (Supreme Court case), para. 89). Applying these elements mutatis mutandis to the measure granting the Minister of Justice the discretionary power to grant or refuse an extension of the retirement age of the ordinary court judges, it seems obvious that the Advocate General would come to the same conclusion in his opinion on the Ordinary Courts case. The lack of clear criteria for granting an extension and the absence of judicial review against a refusal of the extension without a persuasive explanation of the Polish representative would a fortiori lead to the existence of external intervention and pressure from the Minister of Justice, contrary to Article 19(1) TEU. Will the assist of the Court of Justice lead to the winning goal in the rule of law crisis? Consequently, the opinion of Advocate General Tanchev in the Ordinary Courts case will probably not come as a surprise and will most likely be comparable, if not similar, to his opinion in the Supreme Court case. Considering the outcome of the Associação Sindical dos Juízes Portugueses case, it can be expected that the Court of Justice will act upon its judgment and ultimately take a firm stance in the rule of law crisis. As the political tools to enforce the rule of law are unable to cope with the rule of law deficiencies in certain Member States, the ‘legal route’ should be further deployed by the Court of Justice in light of the pending infringement and preliminary ruling procedures. Although much more has to be done by Poland in order to restore the independence of the judiciary in compliance with Article 19(1) TEU, the Court of Justice’s intervention by means of the interim measures in the Supreme Court case led to the reinstatement of the Supreme Court judges who were forced into early retirement. Last week’s CJEU ruling in Tarola, responding to a preliminary reference from the Irish Court of Appeal, interprets yet another cryptic provision of the Citizenship Directive, art. 7(3) on retention of worker status. The ruling sits at the intersection of EU law on free movement of workers, and on free movement of citizens. It is about rights descending from the status of worker. Yet it concerns the situation of unemployed persons at the periphery of workers’ status, whose condition stretches into citizenship territory. For these reasons, the case provided an opportunity for the Court to blend the assertive approach of its case law on workers with the cautious attitude it has adopted in its recent case law on non-economically active citizens. The resulting judgment adds yet another chapter to the tormented story of access to social benefits in the context of free movement. Mr. Tarola, a Romanian national, worked in Ireland in either an employed or self-employed capacity for several periods of a few weeks each in 2007, 2013 and 2014. In 2013 and 2014 he applied there for jobseeker’s and welfare allowances. His applications were refused on the ground that absent proof of ability for self-support and absent a sufficiently long employment record he had not demonstrated habitual residence in Ireland. In the resulting litigation, Mr. Tarola argued that he had the right to reside in Ireland for the six months following a two-week period of employment in July 2014 under art. 7(3)(c) of the Citizenship Directive. The argument did not convince the High Court, however it raised attention at the Court of Appeals that referred to the CJEU. The referred question revolved around the interpretation of article 7(3)(c). More precisely, paraphrasing Advocate General Szpunar, the question was whether a Union citizen who works in another Member States for two weeks otherwise than on a fixed-term contract and then becomes involuntarily unemployed retains the status of worker and the right to residence that comes with that status. Article 7(3)(c) of the Citizenship Directive is particularly convoluted. It provides for the retention of the status of worker for no less than six months in two hypotheses not clearly distinguished until yesterday’s ruling. The first situation is fairly straightforward: duly recorded unemployment following termination of a fixed-term contract of less than a year in duration. The second is more nebulous. The text refers in this respect to a person having ‘become involuntarily unemployed during the first twelve months’ and having registered as a job-seeker. The court found in particular that the text left two aspects undetermined: (i) the type of activity or contract in whose context a person became involuntarily unemployed and 2) the context of the ‘first twelve months’ phrase, whether first twelve months of any employment contract, of a fixed-term contract, of residence in the host Member State, or else (par. 35). The court’s solution was that the provision allows retention of the status for workers “in all situations in which a worker has been obliged, for reasons beyond his control, to stop working in the host Member State before one year has elapsed, regardless of the nature of the activity or the type of employment contract entered into for that purpose”. (par 48) This interpretation was drawn from the context, purpose and origin of the provision of art. 7(3)(c). The ruling concluded with a dictum inspired by the AG opinion and with a note to the referring court. The dictum is that persons residing on the basis of the Citizenship Directive, including those retaining the right to reside under art 7(3), are entitled to equal treatment with nationals. Hence if national workers who have worked only for a short period of time are excluded from social benefits, the exclusion applies also to migrant EU citizen workers. The note to the referring court was that it was accordingly for it to determine, in light of national law, whether Mr Tarola was entitled, under the principle of equal treatment, to the social benefits he was seeking. At least three aspects in this judgment are worthy of note. A first one is the way the court treats the citizenship directive. A second one is the court’s note on entitlement to social assistance. A further one is the balancing exercise the ruling performs between protection of movement and residence rights and protection of state finances. These elements, respectively, help situate the judgment at three crossroads: the one between the law on free movement of workers, and the law on free movement of citizens; the one between EU law on equal treatment, and national law on welfare assistance; and the one between competing objectives pursued by EU free movement law. With regard to the Citizenship Directive, the court sticks to the rule of interpretation it promises up front. The directive cannot be interpreted restrictively. And indeed the court offers a quite broad interpretation of its relevant provision. That the provisions of the Citizenship Directive require broad interpretation is no novelty. The court has repeated this rule of interpretation again and again in several cases. Yet in recent years it has not always as enthusiastically applied the same rule (a recent example is the SM case, treated here; a slightly older one is Singh and others). The court’s approach in Tarola is the result of a special conjuncture: the court is de facto ruling on the rights of a non-economically active citizen, but it is formally dealing with a worker-it is not in question indeed that Mr. Tarola meets the EU law definition of worker (par. 25)-. This allows the court to intersect, if not the law, the interpretive approaches belonging to two different strands of its case law: the assertiveness of its case law on workers, and the caution of its recent case law on non-economically active citizens. Echoes of the former allow the court to deliver, from a relative comfort zone, a result that bears on the social protection of Union citizens. The caution that characterizes the case law on non-economically active returns, on the other hand, through the court’s drawing of a clear boundary between right to equal treatment and entitlement to social assistance. In the final dictum, the court emphasizes that the right attached to a worker’s, or citizen’s, right to residence, is one of equal treatment. Retention of the status of worker, and of the corresponding right to reside, does not necessarily mean entitlement to obtain social assistance. It simply means entitlement to apply for it, and obtain the same response as a national would get. This sounds as a reminder, and a word of reassurance, to the Member States that they are free to organize their welfare systems as they wish. At the same time the court gives the Member States a gentle nudge: if they do not like paying benefits to those who have worked too little, they had better say so in national law. The gentle nudge to the Member States ultimately reflects the court’s endeavor to take into account, and balance in Tarola, two competing objectives of the Citizenship Directive. One is the objective of strengthening the right to move and reside for all Union citizens (witness to the case standing at the crossroads of workers and citizenship law, the court refers in reporting those objectives to citizens in one sentence, to workers in the next, par 49-50). The other is the objective to ensure that the Member States’ social security and social assistance systems are not placed under an undue burden. The tension between these two objectives underpins the entire case law on social benefits provision in the context of free movement. This brings the Tarola ruling closer to the line of cases that from Trojani descends to Dano and its progeny. The tension in that case law, however, is not always as clearly acknowledged and as carefully addressed as here. In this respect, Tarola might signal a further turn in a doctrine that has experienced several twists. It may be the first sign of the taking on, on the part of the court, of a more coherent role in reconciling the conflicting objectives of the law on free movement.